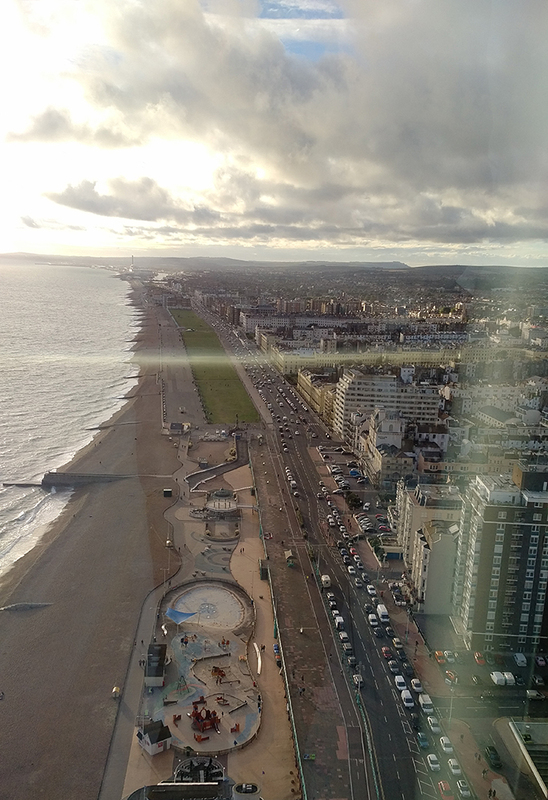 The i360 – At the top of the world… well Brighton anyway. 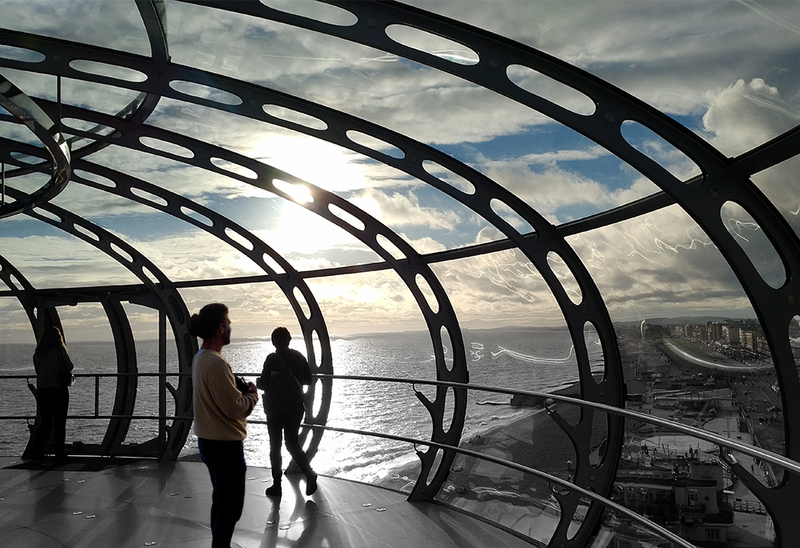 Have you taken a Flight in the i360? If you haven’t yet had the chance to take a quick trip, you should try and go the next time you get a chance. It’s only a short trip and generally lasts about 20 minutes; 30 minutes if you go after 6pm. DD architects were very kindly invited to take a flight by Caroline Stephens of the RIBA Sussex Branch. We were among a few other Architects who all took the same flight. 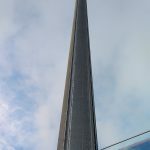 Having seen it from afar while driving around and along the downs, I never appreciated how tall it actually was until I stood directly beneath it. Advance warning, craning your neck to see the top can be painful. 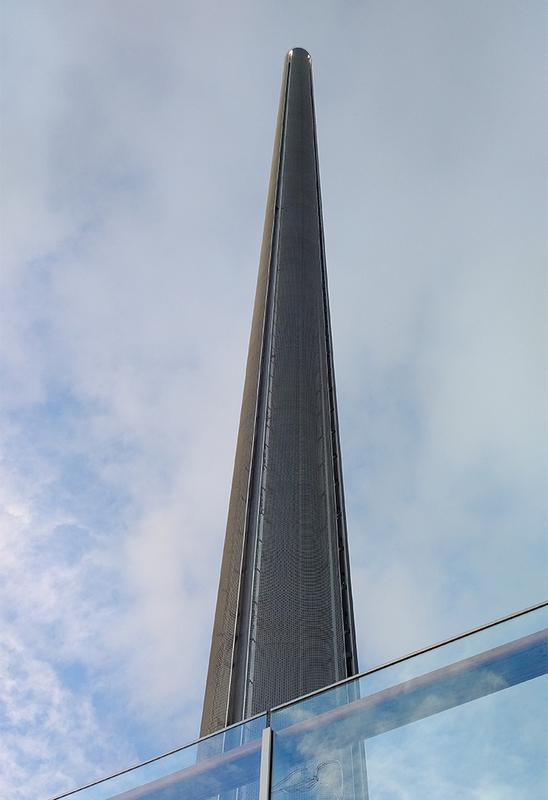 At 162 metres tall and only 4.6 metres in diameter, the i360 is the tallest, slimmest moving observation tower in the world. Rumour has it, that it will be put into the Guinness Book of Records. This is truly an engineering marvel. 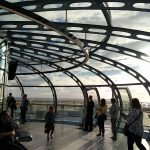 Take a look at the official British Airways i360 website for some interesting facts about the tower and its engineering. 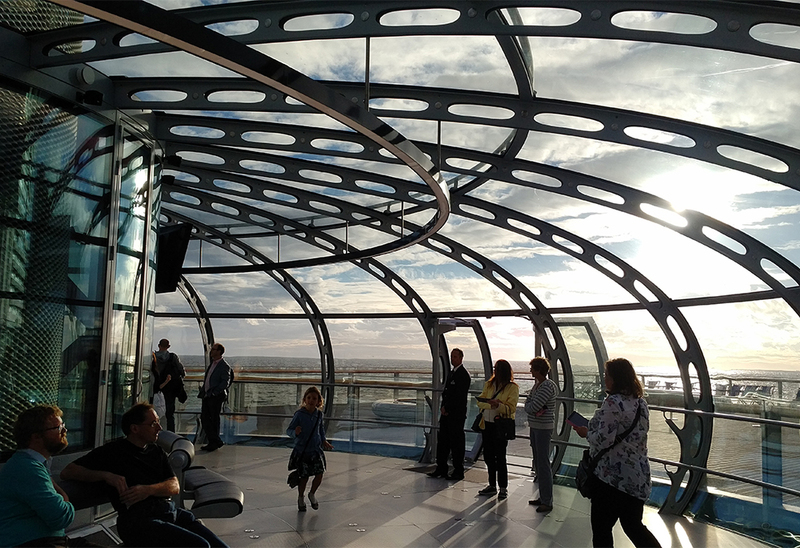 Once you enter the viewing platform, you’ll have no idea the flight has started unless you look outside to see the ground moving away. The glide up is extremely smooth and you cannot feel the movement at all. 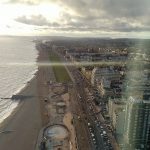 On reaching the top, it is possible to see an amazing 360-degree view of Brighton, Hove, the South Downs and across the English Channel to the south. Have a Look at a few of our Photos taken on the day. 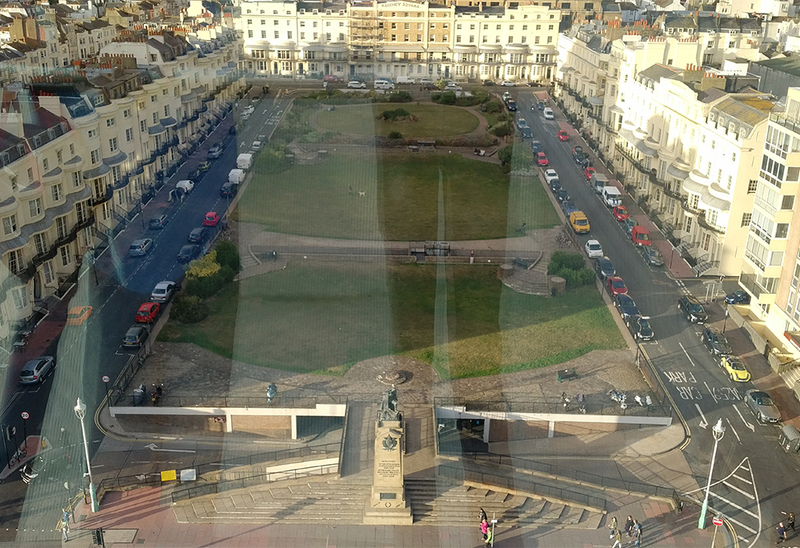 You can see Brighton like never before. 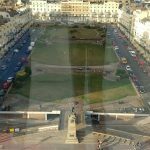 Granted, there aren’t loads of landmarks to actually look out for in Brighton from that height, its not exactly a metropolis, but those of you who know Brighton well and love it like most who visit the city do, you can see it from a point of view that until now was impossible. Unless of course you have one of those expensive Camera fitted drones, but nothing matches the first hand experience at that altitude. We truly enjoyed the experience, so much so that we took a second trip up the next day with our children. We hope that you get a chance to see the view from up there. We would be very interested to hear your views.